The church always had an annual garden party held on the field next to the graveyard which is now a housing estate. There were races for the children including an egg and spoon race, a three legged race and a sack race. The fancy dress parade was always popular and was often judged by one of the Tennant family. The photographs are of me after winning first prize twice in the early 50’s. 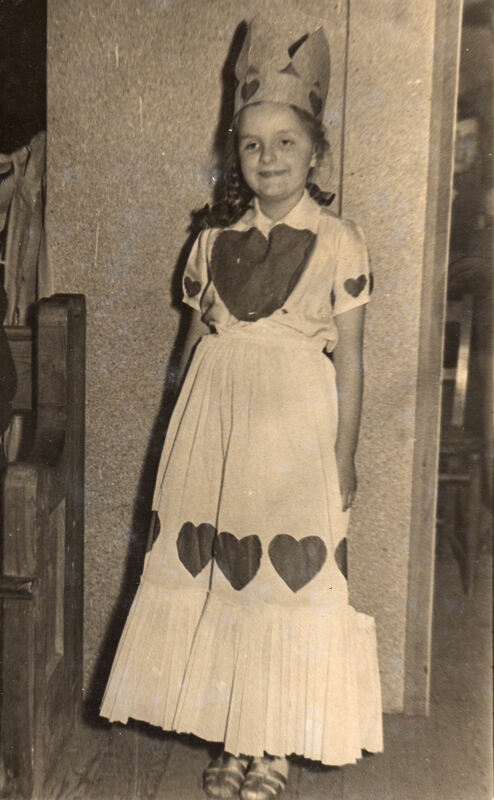 I did have a plate of jam tarts when I was queen of hearts but had eaten them by the time the photo was taken. 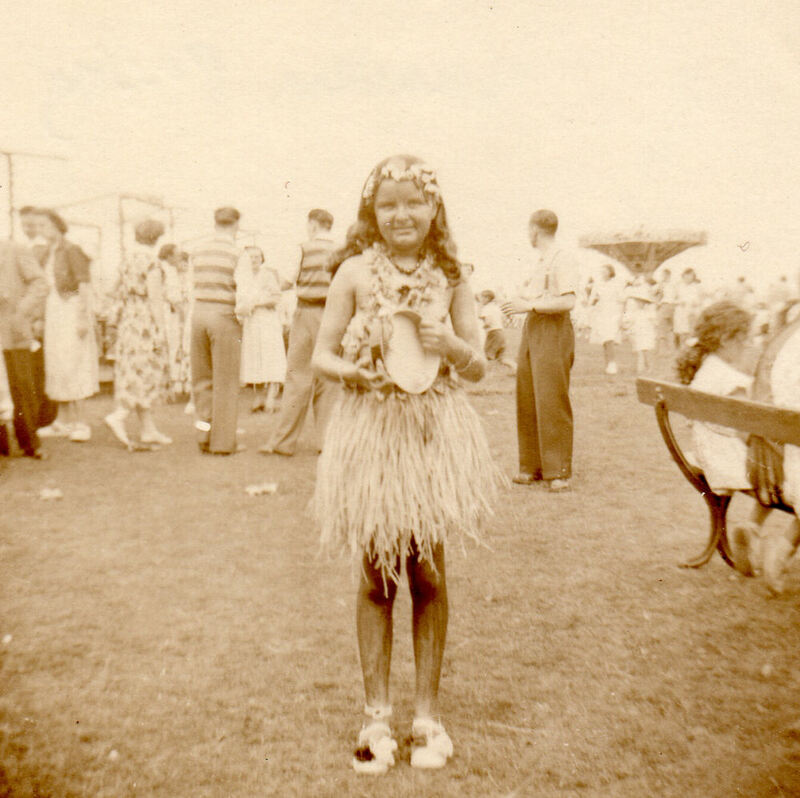 It was a hot day when I was a south sea islander hula girl and I remember the colouring began to run and melt as it was made from cocoa paste and water.